Plus One Gallery is proud to present a solo show of sculptor Thomas Ostenberg's work. The show will feature over twenty limited edition pieces, including two unique works never reproduced, by financier turned internationally renowned sculptor Thomas Ostenberg. Ostenberg's exhibition at Plus One Gallery will be a fantastic opportunity to view the multi-award winning powerful yet fluid work by this talented artist. 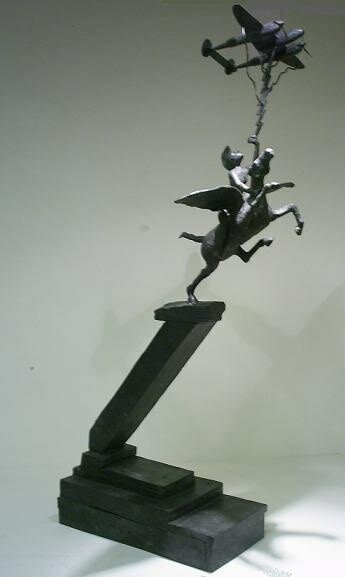 Ostenberg's rise and transformation from a life in high-powered finance to sculptor at the age of 40 tells a story central to all his works. "I worked in international finance for fifteen years, but abandoned that life. As a result, my work is largely autobiographical. It derives its sources from moments of significant and radical change […]" says Ostenberg. 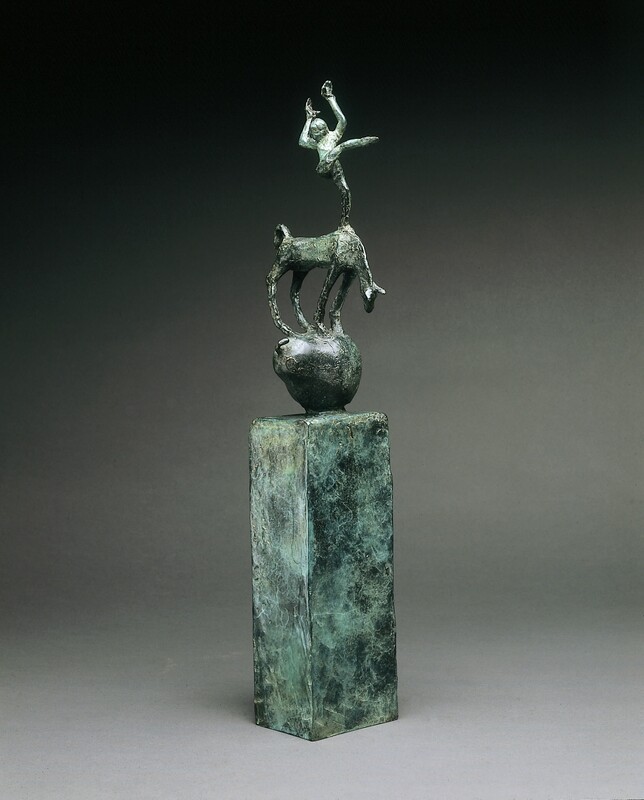 With this in mind, his circus like bronze figures of animal and human balancing acrobatic acts, evoking motion suspended, take on a deeper meaning of his personal search for emotional and spiritual equilibrium. In his words, his work "touches on the moment of stepping into the unknown and doing so willingly". Varying in size from charming mantelpiece objects to pieces stretching two meters tall, Ostenberg's theatrical sculptures suit wonderfully in both indoor and outdoor settings. Thomas Ostenberg divides his time between the Americas and Europe, maintaining homes in the United States, Brazil and France.